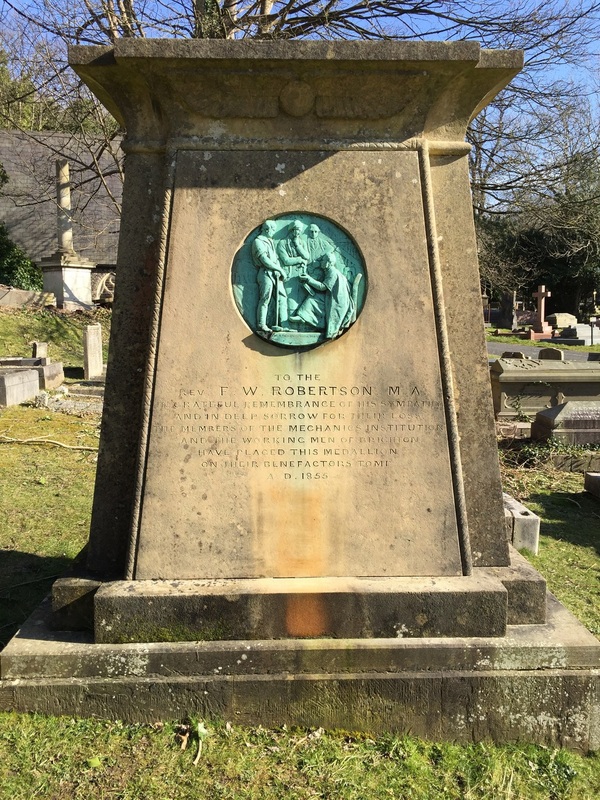 The tomb of Reverend F. W. Robertson at Brighton Woodvale Extramural Cemetery is a 19th century relic of Christianity which seems to have been subjected to a bout of Egyptomania. On one side is frieze depicting the Reverend administering Holy Communion to his flock. On the other side is a large medallion showing the same Reverend submitting to what appears to be a Masonic ritual - replete with aprons, esoteric implements, a telescope, and even an alchemical retort! There also appears to be an ithyphallic offering directly to the right of Robertson's face.